Defiant as always and ready for action. 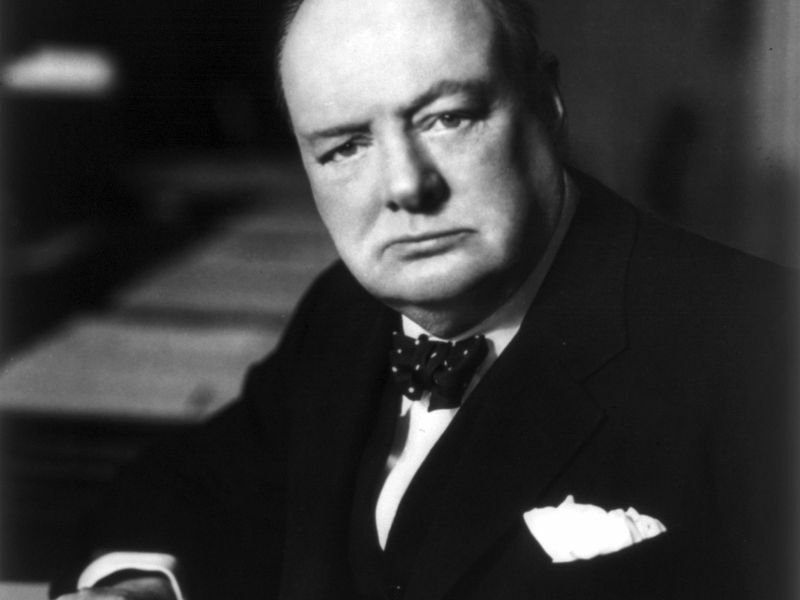 Winston Churchill went down in history as the man who defended Britain from the legendary Luftwaffe forces. He handed Hitler’s forces his first major defeat. Spotters on the rooves, radars bleeping, air raid horns on full blast, shuttered windows and people ducking under whatever shelter they could find, the city on lockdown, patrols everywhere; all of these were familiar sights in 1940s Britain. Which, at the time had the specter of war looming over its heads. This was the time when Britain was under pressure to either surrender to Nazi Germany or take up arms. Now was the time when the iconic PM Winston Churchill, elected during the summer of the same year made up his mind to not let the British Empire go down as someone who accepted others’ terms. With defiance, took up arms, determined to give Adolf Hitler his first taste of defeat. Determined to keep the Imperial Legacy of Great Britain alive, all the while ensuring that the people, the industries, the military and the Crown sustained little or no damage. Which proved to be a draconian task in itself. Determined, Churchill raged on, maneuver after maneuver, determined to take Hitler down. Not caring about who joined him and who did not, directing all of Great Britain’s military and strategic prowess against one enemy: Adolf Hitler. And his Luftwaffe Forces. Despite being on lockdown and with ongoing skirmishes both in the air and at sea, with his speeches, tact, and fervor, he raged on. Churchill never failed to mobilize more and more recruits. Recruits who, eventually made sure that the British Empire, gave Nazi Germany their first taste of bitter defeat. True to the nature of the Mavericks they were.